Summary: The complex world of Bitcoins is showcasing how digital currency can stay relevant (and secure). Bitcoin has emerged to be one of the most intriguing and mysterious forms of currency floating around the market today. A type of digital currency, Bitcoin’s functionality revolves around the transmission of these currencies through block chains. And, it’s important to note that there is no authoritative figure, or merchant service provider, overlooking these transactions, which make them completely anonymous. This guide is designed to break down the basics of Bitcoin and how you can get started today. The address required to send Bitcoins to and from other users is known as a Bitcoin wallet. Essentially, they are Web addresses that permit users from transferring the currency back and forth to one another. In order to utilize the Bitcoin service, you must register to own a wallet beforehand. So now that you understand the mystery surrounding Bitcoins, how are they authenticated and where is the underlying security? With Bitcoin, each transaction is essentially stored in a public library, which helps Bitcoin determine one’s spendable balance for new transactions. 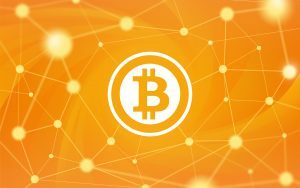 Using cryptography, Bitcoin’s algorithms can authenticate each transaction with it’s own time stamp – similar to that of wireless credit card processing. Furthermore, Bitcoin wallets provide a unique signature that prevents users from spending the same Bitcoin twice. This type of signature is created through a mathematical formula that pertains to each individual Bitcoin. While you might think seasoned hackers can duplicate this formula easily, note that some keys can be as long as a 250-bit number – not quite the easiest thing to decode. This is just a brief summary of the complicated world of Bitcoins. But, this technology is changing the way people send and receive currency and can play a large role in future transactions. Bio: Charge.com offers the most trusted merchant processing services online today. With over 20 years of experience, Charge.com is ready to handle your processing needs.